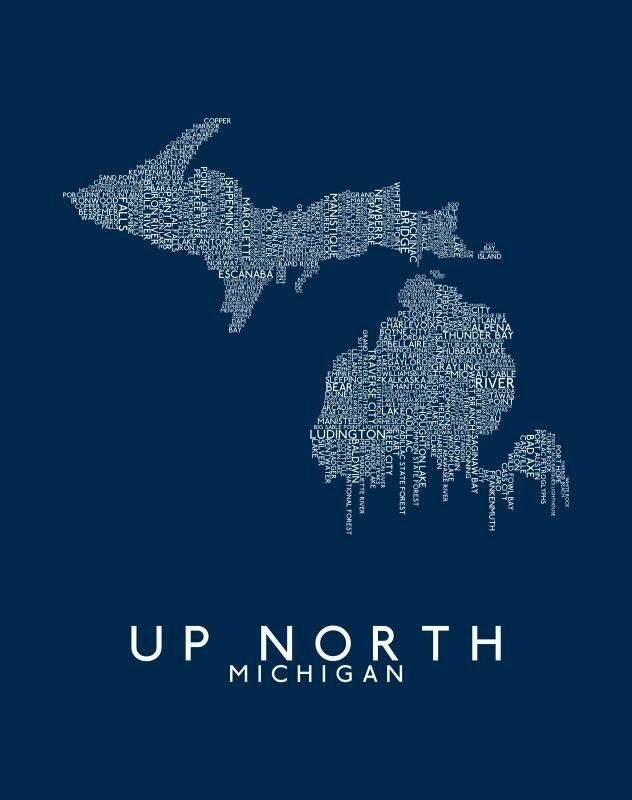 If you are a native of Michigan, then you well know the pride that most of us take in the northern reaches of this state! 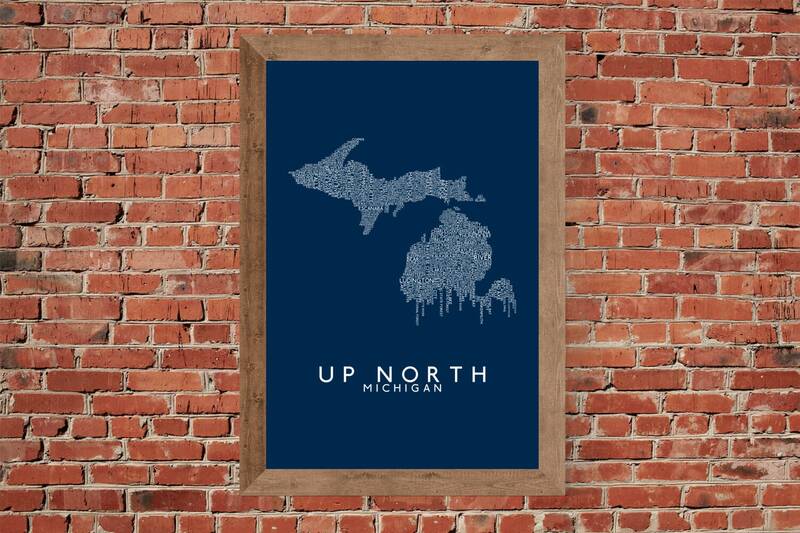 This print has got it all, from the Mackinac Bridge to Traverse City and from Copper Harbor to Ludington. 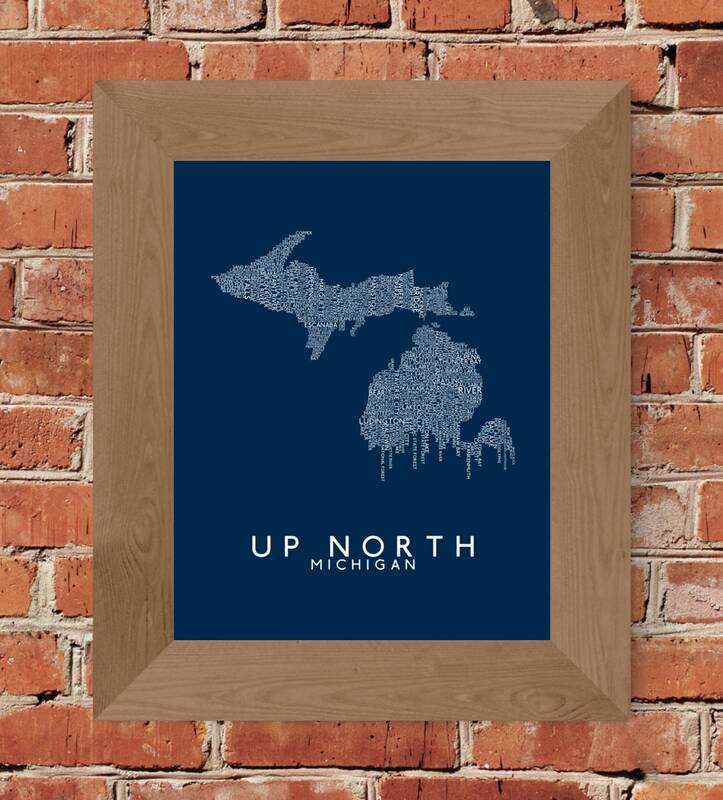 It's a perfect addition to anyone who takes pride in the area we know as "Up North"! 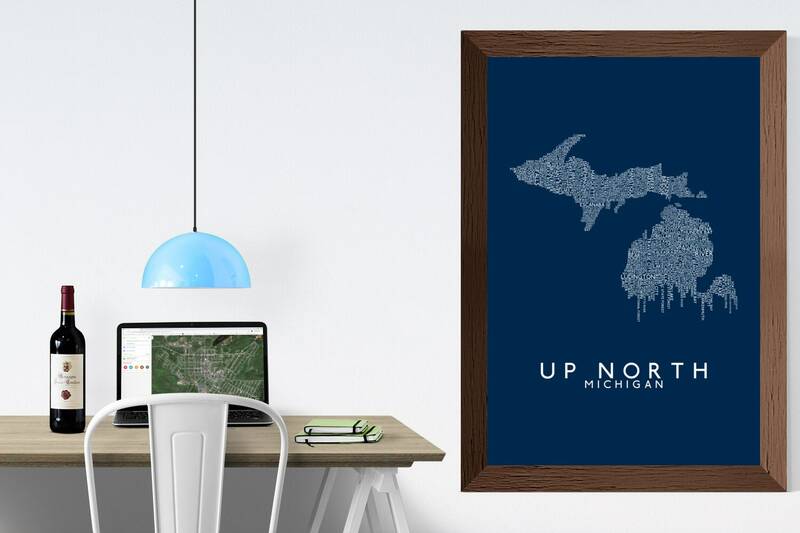 All your favorite places get a nod in this great blue print of northern Michigan! **This print comes unframed and unmatted and is printed on a sturdy, non-glossy paper. Payments are taken by Paypal or by Credit Card through Etsy. Sales are considered final upon shipment. All of our products are shipped First Class via the USPS within 0-4 days of purchase (usually we will have it to the post office within 24 hours, unless it's a weekend or holiday). Upon shipment, you will receive an email from us with the USPS Shipping Confirmation Number, so you can track your purchase. Please allow a little over one week for arrival of your purchase. Please contact us if you need special shipping considerations BEFORE ordering (ie. priority, overnight, etc.). Damaged/lost products will be replaced at no extra charge. Please contact us should things get dinged up a bit during shipment. We are more than willing to work with you should have any requests for wholesale orders, or otherwise. Feel free to shoot us a quick Etsy message. We would love to hear from you! We do not permit wholesale orders of our prints to be sold by other vendors on Etsy. Thank you.